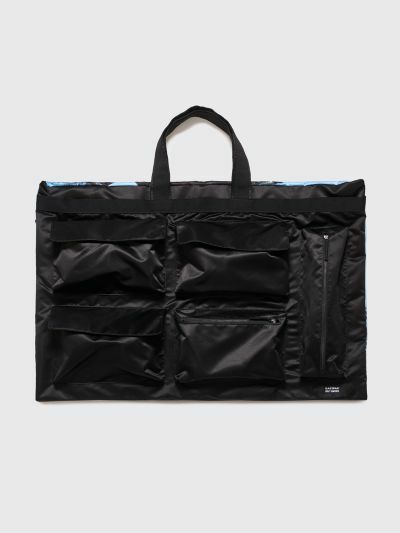 Oversized tote bag from Raf Simons x Eastpak with poster motif on one side and multiple large pockets on the other side. Zip closure on the top. One padded inner compartment with room for a laptop or similar. Top handles. Co-branded label on the back. Black and blue tote bag. Made from 100% polyester. 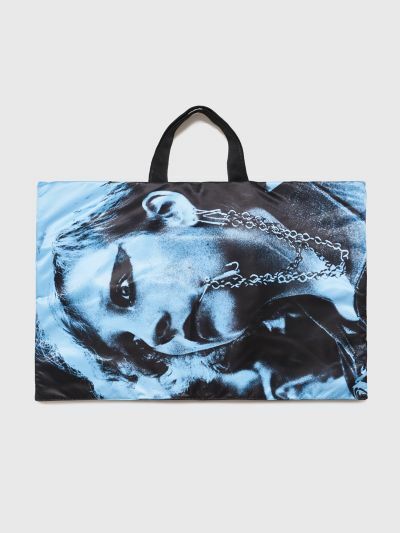 Oversized tote bag. Measures 58 x 82 centimeters. Handle drop measures 19 centimeters.